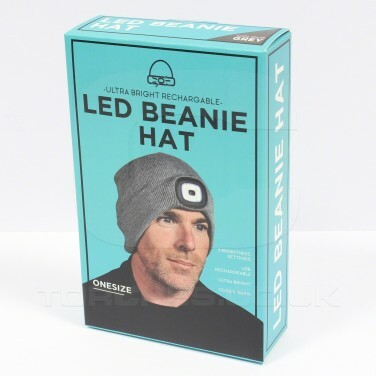 Cosy and practical, this LED beanie hat has a rechargeable torch in the band to give you hands free light. 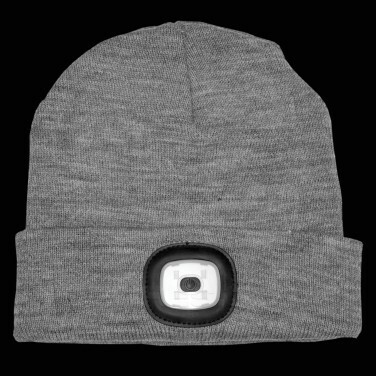 With three brightness settings, and lit by ultra bright LEDs, this grey beanie hat is ideal for jogging, walking, working, camping and more, keeping you snug and lighting your way. 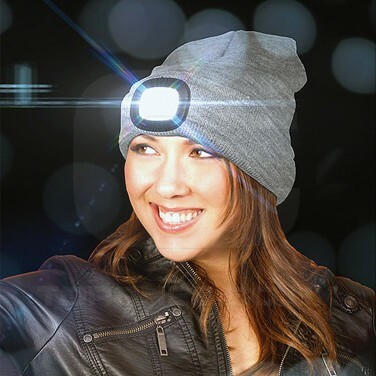 Rechargeable, simply unclip the light from the hat to charge via USB for hands free lighting and improved visibility night after night.